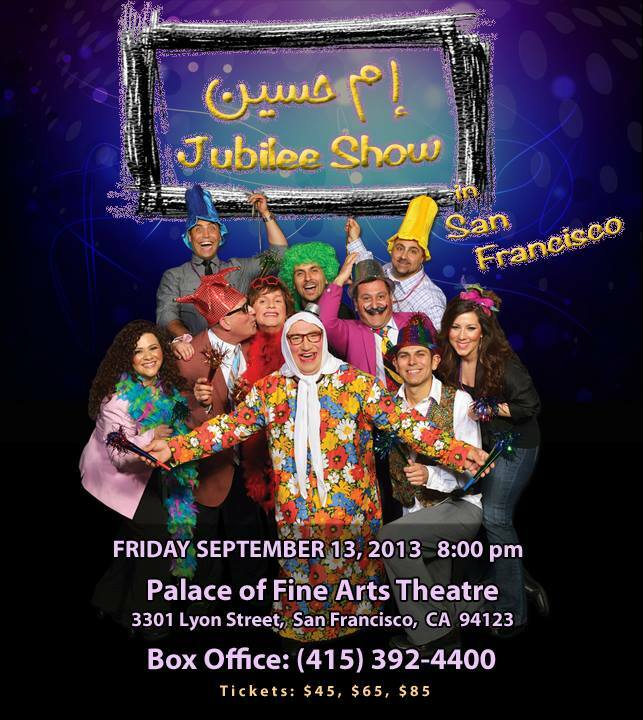 Join Im Hussein and the AJYAL Theatrical Group in San Francisco on Friday, September 13 for a fun-filled night of hilarity and laughs! For 25 years, Im Hussein and the gang have presented the Arab experience through comedy all over the United States and Canada. For more information, visit the official Im Hussein Facebook page. The “Im Hussein Jubilee Show” celebrates 25 years of comedy staged by the Ajyal Theatrical Group, featuring the one and only Im Hussein. As the first Arab-American theatrical group in North America—and the first to take the show around the world—they have fulfilled their mission: to provide quality, affordable Arab theater, arts, and cultural experiences for Arab immigrants at home and abroad and to support the development of regional Arab arts and entertainment. 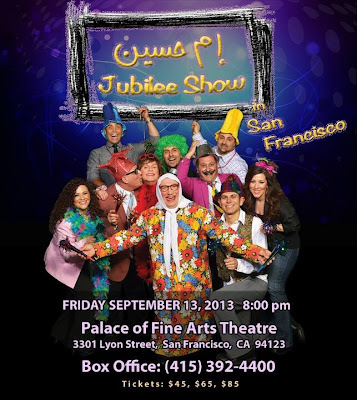 The jubilee show showcases the best of the best skits—the zaniest of Im Hussein’s antics and activities—newly written or slightly refreshed but still providing plenty of opportunities for laughter.